The Hero4 Silver has a built in LCD included with the camera. The Hero4 Black and older Heros do not have an LCD screen. Features 4K30, 2.7K50 and 1080p120 video, 12MP photos up to 30 frames per second, built-in Wi-Fi and Bluetooth, and Protune for photos and video. Waterproof to 131 (40m). Introducing HERO4 Black, the most advanced GoPro ever. Featuring improved image quality and a 2x more powerful processor with 2x faster video frame rates,1 HERO4 Black takes Emmy Award-winning GoPro performance to a whole new level. Incredible high-resolution 4K30 and 2.7K50 video and high frame rate 1080p120 video enable stunning, immersive footage of you and your world. New Protune settings for both photos and video unlock manual control of Color, ISO Limit, Exposure and more. Waterproof to 131 (40m) with 12MP photos at a blistering 30 frames per second and improved audio,1 HERO4 Black is the ultimate life-capture solution. With a 2x more powerful processor, 2x faster video frame rates and even better image quality than its best-selling predecessor, HERO4 Black delivers footage thats sharper, richer and more detailed.1 Combined with powerful new features and technologiesand improvements to audio, usability, wireless connectivity and moreHERO4 Black is the most advanced, highest-performing GoPro ever. 4K30, 2.7K50, 1080p120HERO4 Black is the first camera of its kind to feature ultra high-resolution, high frame rate video as powerful as this. Once the exclusive domain of large, costly cameras, HERO4 Black delivers truly professional video quality in a tiny package. Stunning clarity. Liquid-smooth slow-motion playback. Cinema-quality capture. HERO4 Black brings it all. With 12MP Burst photos at a blistering 30 frames per second, HERO4 Black helps you capture the moments you dont want to miss. Capture single photos, or choose Time Lapse mode to shoot photos automatically at set time intervals from 0.5 to 60 secondsgreat for gear-mounted shots when the shutter button is out of reach. HERO4 Black features built-in Wi-Fi and Bluetooth, allowing you to connect to the GoPro App, Smart Remote2 and more. The GoPro App transforms your phone or tablet into a live video remote for your camera, offering full control of all functions and settings, easy shot preview and playback, plus sharing via text, email, Facebook and more. The Smart Remote allows you to control multiple GoPro cameras from distances of up to 600 (180m). HERO4 Black features SuperView, a GoPro-exclusive video mode that captures the worlds most immersive wide-angle perspective. 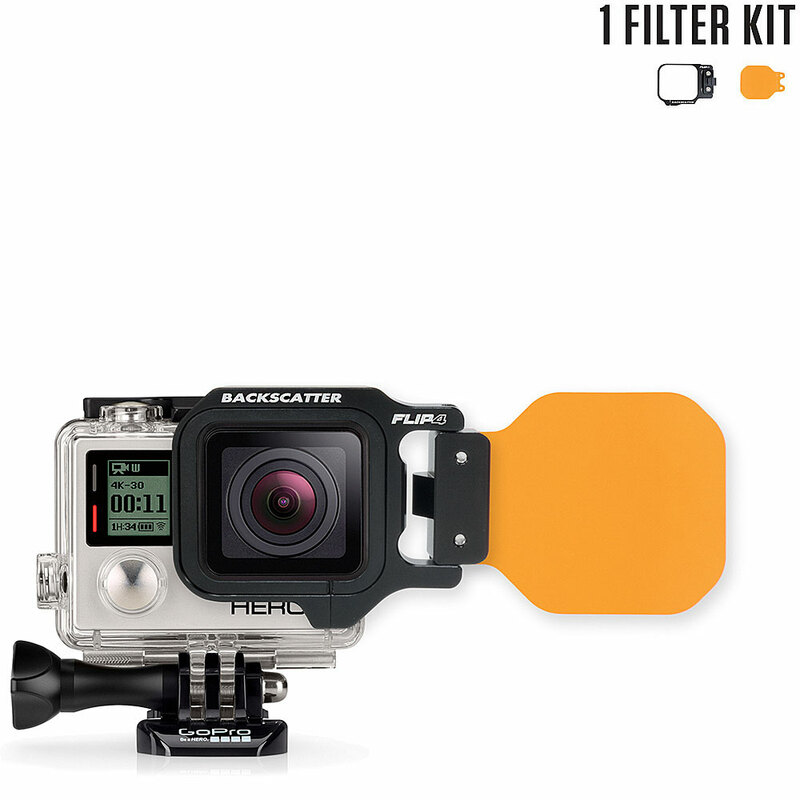 It allows you to capture more of yourself and your surroundings in the shotresulting in captivating, ultra engaging footage of every adventure. Featuring a powerful new audio system, HERO4 Black captures clean, high fidelity sound. Its cutting-edge microphone delivers nearly 2x the dynamic range, while a best-in-class audio algorithm ensures your recordings sound smoother and more natural than ever.1 Plus, with its new, integrated ADC (analog-to-digital converter), HERO4 Black is compatible with a wider variety of professional low-sensitivity external mics3 for immersive stereo audio capture and enhanced performance, whether recording voices, an acoustic jam session or a live show. 1Compared to the HERO3+ Black Edition. 33.5mm Mic Adapter required, sold separately.